Great detective work by the local Green Party has thrown up an interesting story about the property interests of some of our local councillors, which we examine, below. This blog also provides a timely update on matters relating to our previous article on overseas companies' interests in Forest Gate properties - following comments from a couple of our followers/readers. After an examination of the Greens' work, you might conclude that as far as some local representatives are concerned, they could as well be described as representing the local Landlord Party, as the local Labour Party. The Green Party has established that - between them - 46 Newham councillors own or control nearly 100 properties in Newham. A charitable observer may conclude that 43 of those properties are effectively owner occupied by councillors. Which leaves the interesting story of the remaining 56 (that we know of). Nine Newham councillors (about one in 7 of the total) are, by any standards, significant local landlords - and all elected as Labour members. Beckton councillor, Ayesha Chowdhury is queen of the group, with 19 properties in the borough, which have a combined estimated value of in excess of £4.5 million, and a collective monthly rent of over £20,000. The capitals gains on these properties since their original purchase (using Land Registry and Zoopla figures) exceeds £1.5million. She built up her property empire from her home - a Newham council flat (!) - until exposed by the national press four years ago. Second in the local landlord/councillor stakes is Royal Docks member Antony McAlmont, whose registered properties (mostly controlled by limited companies, including Ashbel UK) total seven, with a value of almost £3.5 million. Third placed is Ahmed Noor (Plaistow South), with at least five properties in Newham, conservatively valued at £3million. He has provoked considerable controversy because of his property dealings in Forest Gate (see below). 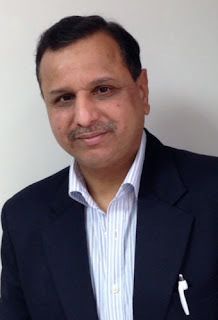 Next on the local landlord/councillor list is Unmesh Desai (East Ham, Central), who has recently been selected as Labour candidate for the Greater London Assembly seat of City and East London, in next May's election. The Greens have tracked down five properties in his ownership, with a combined Zoopla estimated value in excess of £2million, and a hypothetical capital gain of almost £1million, since their original acquisition. Step forward Green Street East Councillor Mukesh Patel, as next in line. There have been five Newham properties registered to his name, two of which have subsequently been transferred to Piyush Patel (his wife?). Next our very own, former absentee Mayoral adviser on Forest Gate, Rohima Rahman (Green Street East). She is registered as the beneficial owner of three Newham properties, with a combined value of £1.25 million. One of these properties is a leasehold one, with Newham Council owning the freehold. Forest Gate South member, Mas Patel, owns two properties in Newham and at least one other in Ilford, while neighbouring, Green Street West councillor Idris Ibrahim is the registered owner of two Newham properties. Manor Park councillor Salim Patel rounds up this part of this survey - he, also, directly owns two Newham properties. He is, however, involved with a complex web of property companies, which between them own a further 10 properties in the borough. 32 councillor-owned properties are located in Forest Gate and at least four councillors with a direct interest in the area feature in the lists, above. Property queen Ayesha Chowdhury (see above) has an interest in the E7 postcode, with the ownership of 18 Eric Close, from which she receives £1,000 rent per month. She has overseen a capital gain of £75,000 on this property, since she took ownership of it, which is now valued by Zoopla with a value of £264,000. Four of Ahmed Noor's five properties lie within the E7 postcode; and the fifth is in East Ham. Two of the Forest Gate properties (218 and 230 Green Street) are shops. A third is 46 Windsor Road, from which he collects a monthly rent of £3,500. Most controversially Cllr Noor also owns 238 Romford Road. Forest Gate resident, Martin Warne, in his excellent blog: Forestgate.net has tracked his relationship with this premises. The building (see photo, above) has planning permission for commercial, not residential use. It was, however, sometime recently converted into a rooming house, or more officially a "house in multiple occupation", without appropriate approval. The conversion of the property to a house in multiple occupation provides a poor quality of accommodation, which is to the detriment of the persons who live there, and at a neighbourhood level, harms the objective of creating healthier neighbourhoods. It is therefore contrary to the policy ... and requirements of the Lifetime Homes Standards. (our emphasis). Cllr Noor quickly said that he complied with the notice and returned it to commercial usage (see photograph suggesting that it is the headquarters of a plumbing company). He was, however, suspended from the Labour Party, locally and nationally, pending an investigation into his actions surrounding it. Cllr Noor's excuse was that it was rented out to a third party which was responsible for the conversion, without his knowledge. It is not clear whether Newham Council has conducted a subsequent inspection to determine that the premises are actually commercial now, or that the unsightly advertising is simply a smoke screen for continued unauthorised domestic occupancy. Would-be Greater London Authority member and Newham Councillor, Unmesh Desai's local property portfolio includes 115 Tower Hamlets Road, in Forest Gate. He receives a monthly rent of £1,300 for this and has benefitted from a capital gain from it of in excess of £200,000, since he first purchased the house. His other E7 acquisition is 34 Rothsay Road. Rohima Rahman, Forest Gate's now deposed former mayoral Advisor on Forest Gate owns 21 Dorset Road, as one of her three Newham properties. She has seen a capital gain on it of almost £200,000, since her original purchase of it. Familiar face? The former absentee "mayoral advisor" on Forest Gate. Too busy looking after her property interests (one of which, 21 Dorset Road, shown right) to be an active Forest Gate advisor? Being a Councillor for Green Street West is handy for Idris Ibhrahim. It means he can keep an eye on the interest of the two properties he owns on Westbury Road (2 and 21) - see above for photos. Forest Gate South councillor, Mas Patel is similarly well-placed to look out for developments regarding to his properties at 23 Vale Road and 74 A - C Upton Lane. Manor Park's Salim Patel's local property empire is difficult to fully establish, given the complex property-owning structure of companies he benefits from. But he certainly has an interest - possibly controlling - of five Forest Gate properties, through these arrangements, being those at 278 Shrewsbury and 6 Lincoln Roads, together with 113a and 115 Godwin and 12 Stafford Roads. Many would argue that there is nothing intrinsically wrong about landlordism, or being a "buy-to-let" landlord in the complex property jungle that is London. Nor should it simplistically be assumed that "all landlords are Tories". However, in the one-party state that is Newham, pretty much the only way to guarantee election to the Council - and to keep a watching eye over the fate of your property portfolio - is to stand as a Labour candidate. How many of these landlords would be Tories, if Newham were less loyal to Labour? How many of them use and stand for Labour as a "flag of convenience", while having no regard to the party's policies about providing decent, reasonably-priced, homes for people? In a one-party-state, with an autocratic mayor, it is particularly important to s/elect strong candidates, who will stand up for local people, rather than simply party hacks, or those flying under flags of convenience. It is difficult to conclude that all of Labour's councillors fall into the category of candidates who will always stand for the interests of local people. N.B. If any of the councillors above feel we have misrepresented, or indeed under-estimated, their property interests in this article, we will be happy to correct the detail, all of which has come from publicly available sources. There is progress to report on the building that we described as "prestigious" and "iconic" in the 'Offshore Forest Gate' post, last month (see here): BCP City Gate, on Romford Road. We recorded this property, you may recall, as being registered in the Isle of Man in July 2005 to BCP City Gate Ltd, with a recorded value - then - of £3,658,840. We have subsequently learned that the company was put in the hands of liquidators on 10 April this year. Quite how a company with that level of assets could sink into insolvency is unclear, unless the property concerned has been moved on to the ownership of yet another company. We do not know why this should have happened, but will not be shedding any tears of sorrow for the fate of the liquidated company. It is difficult to believe that there are not ulterior motives at play, which will further enhance the position of the beneficial owners of the building - all firmly out of the sight of the British tax collector - of course! Meanwhile, one more significant local building can be added to the list of the foreign owned, and largely exempt from British tax liability. When it became clear that Forest Gate was to become a beneficiary of the opening of Crossrail, Woodgrange Road's Telephone House was snapped by a Saudi company, sensing a good return on the investment would be pretty much guaranteed. Although Saudi Arabia is not a tax haven, in the way that some of the countries mentioned in the original article are, there is no doubt that the British exchequer will not gain the same benefit from increased rents or values that it would have experienced had the building remained in UK ownership. We also mentioned the cluster of properties around 50 Avenue Road, in our post, as being beneficially owned by Isle of Man based Dominion Ltd. The property was formerly a hostel owned by the London and Quadrant Housing Association. 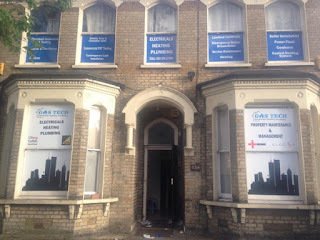 We understand from someone who knew the project well that the building was home to many of Forest Gate's "characters". Persistent, unresolved, dampness problems with the premises, however, lead the housing association to sell the premises and move the residents on elsewhere. Thus explaining the sale of the property - but not providing an explanation for it coming under tax haven Isle of Man ownership. Footnote. If you are interested to know more about our local Green Party, to whom we are greatly indebted for the bulk of the information in this blog, please follow @rachel_shares (chair of Newham Green Party, @newhamgreens on Twitter, or Like them on Facebook: http//www.facebook.com/newhamgreenparty. Of course the above will only relate to declarations for their home borough of Newham (but this being Newham, where people say they live and where they actually live can be different). And then there are those who are astute enough to have not needed to have transferred their property ownership into a partner's name in the first place; as the property was bought in the name of a partner, child, parent, etc. All these people that we trust are milking us. It is because of them we are suffering in temporary accommodation. I have been staying in a temporary home for over four and a half years and the council would not move me. The benefit goes to the councillors. It is so sad. I now know who to vote for. Why is owning a house and letting it out so wrong it is a ligitimate business. Landlords are an essential part of London housing , providing housing to people who cannot or do not want to buy a property but prefer to rent. Do you really think the council would house these people. I dont know why but it is Newham council that seems to have it in for Privately owned rented Property instead of encouraging investment and bettering the houseing stock in the area. Today 31/08/2018 Crossrail delayed by nine months.